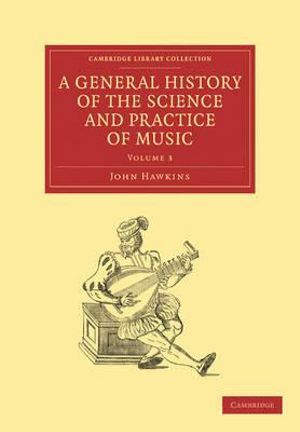 Sir John Hawkins (1719-1789), lawyer, friend of Samuel Johnson and member of the Academy of Ancient Music, published his pioneering five-volume history in 1776 just after the first volume of Burney's. Hawkins' work suffered badly in the resulting competition between the two, partly because of his difficult personality, partly because of the scholarly style of the writing contrasting with Burney's more engaging approach. 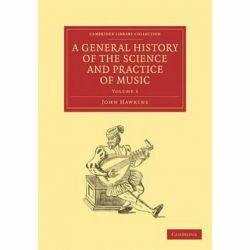 However, it is Hawkins' accuracy and attention to detail, his appreciation of sixteenth- and seventeenth-century music and his account of London music society in the early eighteenth century, supported by his painstaking research, which makes the History of indispensable value to music scholars. Whilst there are neither contents list nor chapter headings, there is an index, and each volume includes generous illustrations and musical examples. Volume 1 includes a Preliminary Discourse, the development of music notation, plainchant and the music treatises of Arezzo and Boethius. Produkt został dodany 06.12.2018 21:44. Ostatnia zmiana danych produktu miała miejsce 06.12.2018 21:44.